The Chartwell estate in Bel-Air, California. 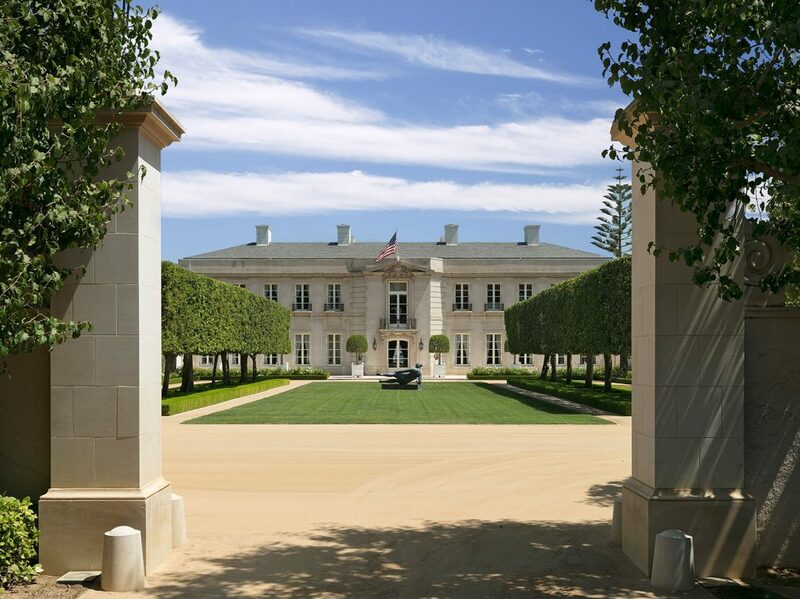 Priced at $245 million, the most expensive house in the United States checks all the boxes on any real-estate lovers’s wish list. 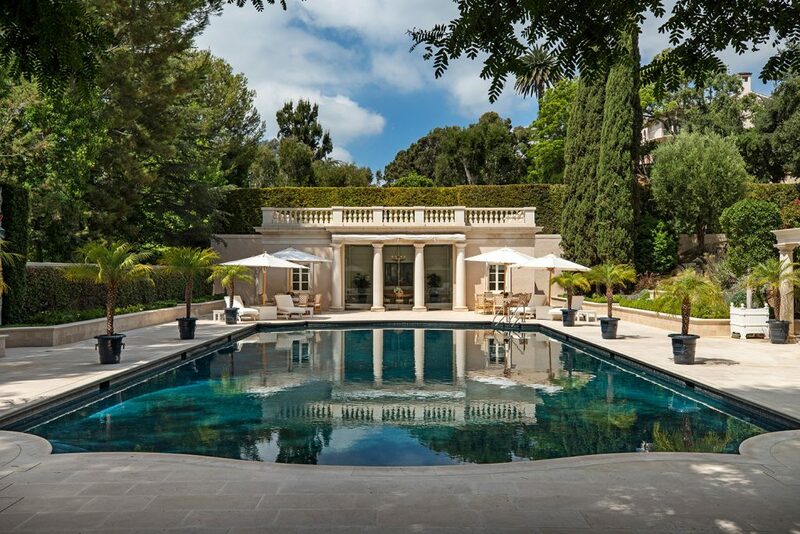 Weighing in at a staggering 25,000 square feet, the monumental Bel-Air mansion has 11 bedrooms (plus a ballroom), comes with a 40-car garage, and sits on ten manicured acres complete with a 75-foot pool, a guesthouse, fountains, and a tennis court. 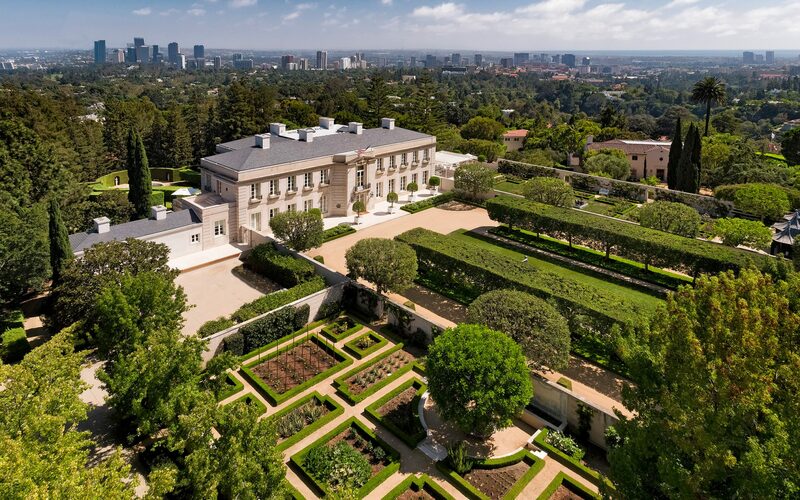 Dubbed Chartwell, the property also has an unlikely claim to fame: It served as the setting for The Beverly Hillbillies, the beloved CBS sitcom that ran from 1962 to 1971 (and in perpetuity, thanks to syndication). The mansion is memorably featured in the pilot episode, in which the Clampett family, after discovering they lived on an oil-rich swamp, decamp to California. 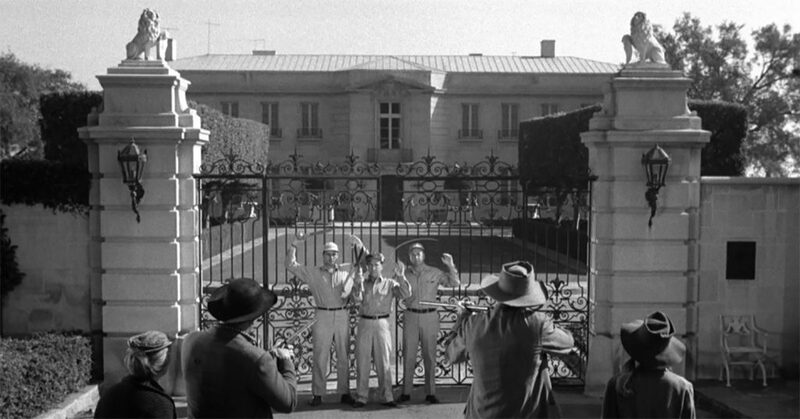 The family is perplexed when they arrive at their new ritzy address, at first mistaking it for a prison due to its colossal size. Built in 1935 by architect Sumner Spaulding, the limestone-clad behemoth was originally built for civil engineer Lynn Atkinson. Upon completion, however, Atkinson’s wife refused to move in, and so the palatial estate was sold to hotelier Arnold Kirkeby. According to Vanity Fair, Kirkeby rented the grounds to The Beverly Hillbillies crew for just $500 per day. The opulent manse was featured prominently in the credits and many scenes were filmed on the grounds. 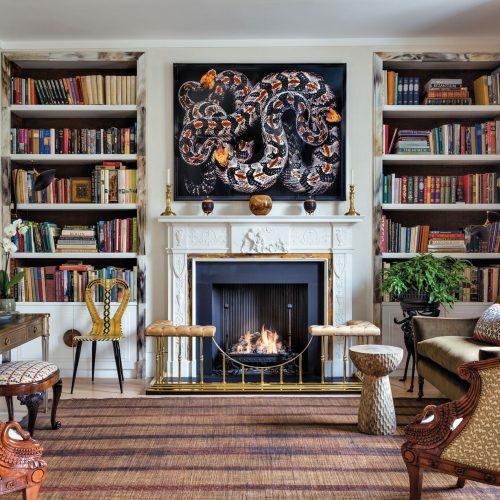 The most recent owner was Univision CEO Jerry Perenchio, who purchased the compound in 1986. 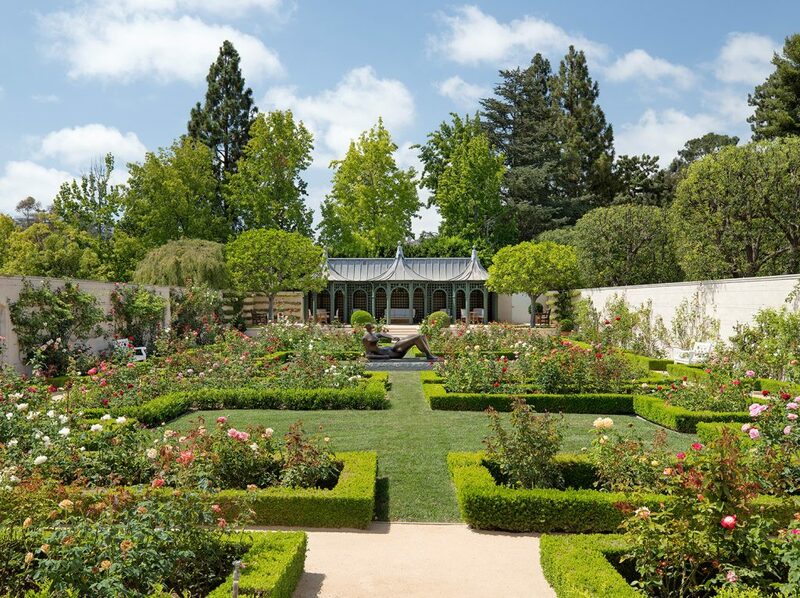 He acquired three adjacent plots (including Ronald Reagan’s former estate), hiring famed decorator Henri Samuel and architect Pierre Barbe to revamp the interiors. After Perenchio passed away in May 2017, the estate was marketed for $350 million. 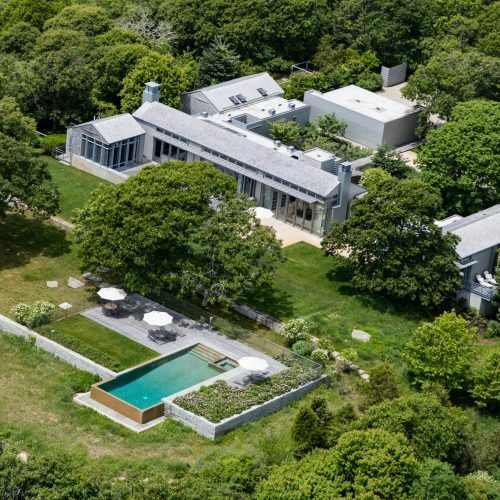 Chartwell is listed with Jeff Hyland, Drew Fenton, and Gary Gold of Hilton & Hyland (a Christie’s International Real Estate affiliate); Jade Mills, Joyce Rey, and Alexandra Allen of Coldwell Banker Global Luxury; and Drew Gitlin and Susan Gitlin of Berkshire Hathaway Home Services.